Ahmadiyya Muslim Community celebrates African Independence – For Christians, To be Born Again in Islam! Thereafter, various African Dignitaries took to the stage. His Excellency, Wesley Momo Johnson, Ambassador of Liberia, said that it was his fourth visit to the Baitul Futuh Mosque and that each time he came, he felt emotionally moved by the mosque and great warmth within it. His Excellency, Mr Edward Mohamed Turay, High Commissioner of Sierra Leone, said that the Ahmadiyya Muslim Jamaat had shown true commitment to bettering the lives of the people of Sierra Leone through its humanitarian projects. 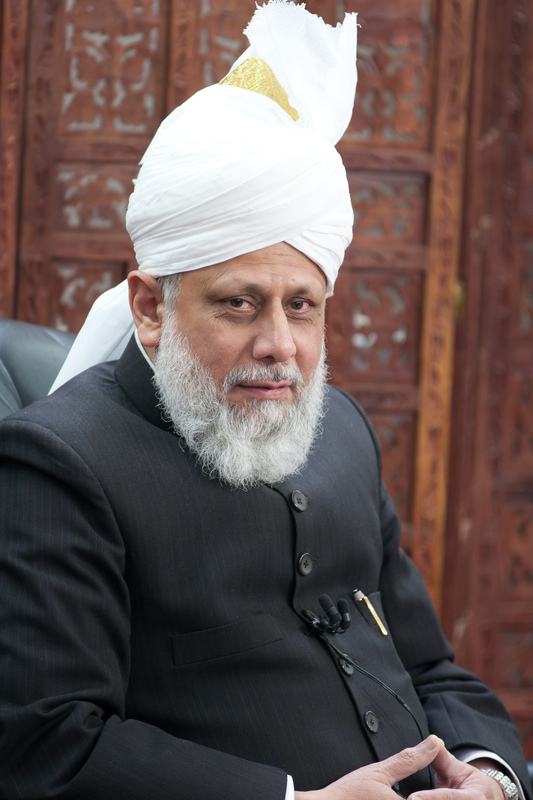 During his keynote address, Hadhrat Mirza Masroor Ahmad spoke of the inequalities that continued to exist between the people of various nations and their leaders. He said that in countries where monarchies or dictatorships existed, the rulers withheld most of powers, leading to restlessness and dissent within the society. On the other hand, even though democratic countries claimed to provide justice and equality, in many instances they were failing to do so. Unfair polices were being implemented and this too was leading to civil unrest. His Holiness said that Islam had provided the solution to such problems. It taught selflessness rather than selfishness, where each party should be willing to compromise his own rights for the sake of the greater good. Speaking about the Ahmadiyya Muslim Jamaat’s humanitarian efforts, His Holiness said that the community had opened hundreds of schools and hospitals in various parts of Africa. Also, Ahmadi engineers were engaged in efforts to provide water, electricity and other services in remote parts of Africa as a means to help the deprived locals. Such services were rendered without any desire for recognition or reward. “It is my heartfelt prayer that the African people are able to take full advantage and benefit from their independence. All countries should keep in mind that the leader of a country is the servant of that nation. Whichever laws or regulations are in force should apply just as much to the rich as to the poor. If this approach is maintained, then, God Willing, the freedoms that you have gained after long periods of colonial slavery, will come to be everlasting.